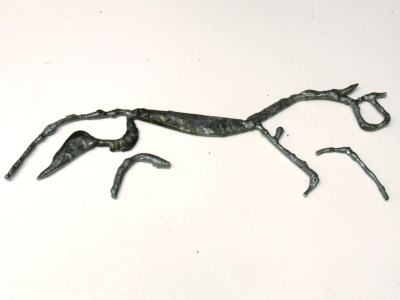 This figurine is based on the Uffington White Horse. This one will eventually be mounted on a green background and framed. 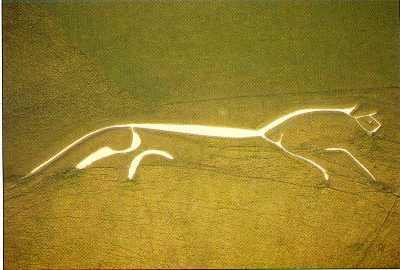 I had never heard of the Uffington White Horse until recently, but like with other ancient structures or works of art, I'm quite fascinated. This 3,000+ year old, 374-feet-long figure was built by trenching out the ground and then backfilling with chalk blocks. Beautiful.